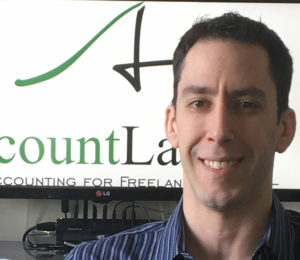 We're super excited to have Eric Nisall of AccountLancer on the blog today answering questions about how bloggers can handle taxes… Eric's well known in the blogging community as a tax expert and has built a business specifically around handling taxes for bloggers. Hey there Budgeters, I'm Eric! For those who don't know me, I'm an accountant specializing in bloggers & freelancers and have my own personal finance & entrepreneurship blog. After spending the better part of the last two decades working for others, I finally left the workforce to start my own business in July of 2015. Since then, I've spent my time helping bloggers and freelancers get their acts together as businesses as well as managing their accounting and taxes. But enough about me, this is about all of you! To make things not-so-boring and easy to follow, I thought I'd make this a clean Q&A type post, so let's get started! 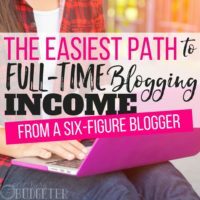 Q: I have NO clue how to do taxes when it comes to blogging. I would like to know how much you have to earn before you are required to file taxes. For example, I just started my blog less than a month ago. So far I have not received any payout but I have earned less than a dollar from Google Adsense. Do I really have to claim that? I just don't understand how it all works or what to do. A: Every penny you earn and spend needs to be reported on your tax return. The other thing you have to remember is that you are on the Cash Basis of accounting as a sole proprietor–that simply means you don't report anything until you receive or spend it. That means the money which is in AdSense or any other ad network which requires a minimum balance to receive a payout is not reported as income until you receive the check or it's deposited into your account. The same goes for expenses. If you are sent a bill, you don't report the expense until you actually send the payment. Even if you didn't earn money, you most likely had expenses such as hosting, domain registration, theme/plugins, etc. You will still have to report that on your 1040, but the good news is that you can also use the loss to reduce your other income! Q: How can you know (based on your monthly income) how much you need to pay, so you don’t get hit at tax time with a huge overwhelming tax bill? A: The best way is to work with a professional! I know, I know, that doesn't answer the question. Some people use the method of taking the previous year's tax liability–the total tax, not what you may have owed or been overpaid–and divide it into 4 payments to be made at each quarter. That gives the taxpayer an idea of how much they need to save, but it's very unreliable as most businesses don't stay at the same level, especially in the beginning. Another way to estimate it is to take your federal tax rate, your state tax rate (if you live in a state that charges income tax) and the 15.3% self-employment tax rate and save that percentage of your net income. That tends to be more accurate, but can still be off. Q: Do you pay once a year? Or is a more frequent payment required because the taxes are not removed from your paycheck? A: You should not be paying once a year. Think of estimates as “withholding for entrepreneurs”. Instead of having a paycheck and your boss handling the taxes, you have to handle the responsibilities yourself. But, to make it a little easier to deal with, the IRS only requires you make payments 4 times a year. My recommendation is to pay each quarter, even if it doesn't seem like “a lot”. The reason is very simple: you don't know where you'll be later on in the year, so if you pay each quarter as you go along, it's easier to manage. I always tell people it's so much easier to save up and pay $2,000 every few months than it is to do nothing for the year and wind up with an $8,000 tax bill when your return is done! Q: I’ve spent money on classes, domain, and hosting. What about my laptop, internet bill, stock photos or themes I have purchased. I have $5 in Google AdSense and $5 in Amazon but cannot access either. Is it worth telling my accountant? Can I write anything off? Or is this just a hobby?? A: You're going to have a few years to try to start turning a profit. Generally speaking, the IRS starts getting curious if you reach 5 years of consistent losses before you're in danger of having your blog classified as a hobby rather than a business. With that being said, you definitely need to inform your accountant about everything you think has any possible connection to your taxes. It's up to them to make the distinction between what belongs and what doesn't. 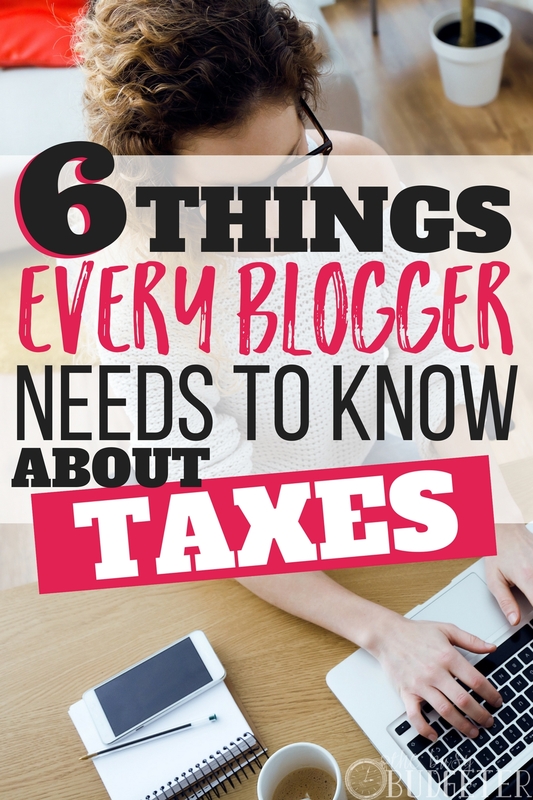 For most bloggers, you will most likely be a cash basis taxpayer which means you don't report income until it was actually sent to you–and by extension you don't pay any taxes on it. That means even though you have balances in affiliate network accounts, you don't need to worry about them for tax purposes until you reach the payout threshold. For knowledge purposes: anything can be written off if it is ordinary and necessary in your line of business. For instance, if you're a work-from-home blogger and don't do anything else, your car isn't ordinary nor necessary so you couldn't buy on through it. But, anything that goes into your website, online marketing, social media scheduling, etc. are all integral parts of your business–they are all necessary for your blog and all are widely accepted so in that realm, you're golden! Q: Does it matter if I have not registered the blog as a business? On the other hand, going through your state's Secretary of State and forming a separate business entity will give you certain protections. Legally speaking you and the business become completely separate entities which can protect your personal assets where as a sole proprietor you and the business are the same (your assets are the business' and business assets are yours). However, you need to speak to an attorney to figure out the best business structure for you because it is strictly a legal protection. Also…you don't lose out on being able to deduct blogging-related expenses just because you remain a sole proprietor. Again, you don't have to be registered to be “official” or “legitimate” and to write off your business expenses! Q: I definitely do NOT have enough money to pay somebody to do it for me. Is this something I can do on my own? A: This is a toughie. In all honesty, you really shouldn't be doing any task which you aren't an expert in especially something as delicate and important as your taxes where one little mistake can lead to big headaches. That being said, it isn't always as expensive to get reliable, quality tax assistance. At the very least, I would suggest doing whatever you can to get the first tax return as a business owner performed by a professional. Why? Because then you will have a guide for attempting to do it n your own going forward if you are still struggling to come up with the money to pay for it. It will most likely be a good option strictly for the purpose of keeping your costs low, but in terms of it providing the most value…that remains to be seen. I know some people swear by the programs/apps but it really isn't for everyone. Q: How should I go about finding an accountant? A: The first thing you should do is make sure you can interview the person who will actually be handling your work. I've worked at two CPA firms over my 18 years in the biz, and I had never met a client prior to being assigned to them. I've been forced to work on clients that I didn't belong working on because I wasn't familiar with their industry or business needs. That's a huge disservice to clients and not something I like to replicate in my own business. So find out what their expertise is, as not all accountants–regardless pf the letters coming after their name–are familiar with or even understand online businesses. The same applies for those online sites where you register then get assigned a random professional. When it comes to taxes, be careful when you go to chain tax preparation locations.Many will employ people with little-to-no experience who simply took a brief “course” which only touched on basics and how to use that particular system. Not that all of the employees aren't qualified, but the risk is high because of the nature of these businesses and the lack of choosing who you work with. You will also want to find out how the person you are working with gets paid. One disturbing trend I noticed just by browsing job boards or Craigslist is the practice of paying on a per-return basis. That is something you want to stay away from as it leads to less attention on quality and more on quantity. Make sure you work with a firm that pays it people hourly or on salary. Q: Can I just register my business in a different state to avoid paying taxes? A: There are some people who will think it would be smart to register your business in Florida or Nevada because there are no taxes for Single-Member LLCs or S-Corps in those states. BUT…that is supremely faulty thinking! Not only do you have to report your income and file a tax return where you operate and earn your income, but you also have to register with each state you actually operate in. So, if you live and blog in California, you cannot register in another state to avoid paying state income taxes. You first would have to register as what's called a foreign entity (LLC/Corp established in another state but operating within a different state's borders) with the State of California, but then you must also file any necessary CA tax returns as well. Long story short, there is no way to escape tax filing short of actually moving to a non-tax state! Q: Do I need to give out a 1099-MISC to everyone I pay for blog-related help? A: We all should know that anytime we pay someone more than $600 for non-employee services (non-employee meaning independent contractor or freelancer) such as writing, VA work, design, whatever. For a lot of us, in fact, it's something that is incorrectly advised! To keep it brief, if you pay a contractor via a third-party payment processor or payment card such as credit, debit, or PayPal you are not required to file a form 1099-MISC regardless of how much money you paid out during the year. In those cases, the processor is responsible for taking care of the tax reporting on a 1099-K. Plain and simple you are not the Tax Police and it's not up to you to pay for the 1099-MISCs to be filed in case the contractors don't qualify for the 1099-K from the processing companies. To put it bluntly, anyone who insists you file them “just in case” is simply looking for a payday and nothing more. Hopefully this answers a lot of the questions that have been bugging you! As an added bonus I've created a page of curated content of mine that takes a much deeper look into many of these topics especially for you. Additionally, I have a new course called Bookkeeping For Bloggers for which I've created a special discount just for all of you Budgeters (details are also on that page). Simply click here to head on over when you're done here! Very helpful post. My blog is not making money, but if it ever does this will be a great resource. Haha. Yeah, it can be tough at the beginning. The good thing is that you don’t need to be making money just yet to start doing things the right way. Once you do start earning some money it’ll be easier since you know you’re in a good position. This is so so helpful and really appreciated. Thank you so much for sharing your knowledge and answering these important questions! This is awesome post, and i have to take it my own way. Thank you for this post! I’ve had some of these questions. My blog/business was actually slightly profitable in 2017, and should be growing this year, so this was definitely helpful. Love the part about going outside and screaming “I AM A BUSINESS!” as I sometimes feel like I should have done something more official. Congrats Katy, that’s a big step in the right direction! Don’t worry, as long as you know that you’re a business that’s all you need. Don’t get too caught up in what anyone else is doing or thinking. There’s always time to establish a more “official” presence. Thank you so much for writing this Eric! You answered some of my questions and made me aware of some other things. I’m not profitable yet, but I plan on being!! What were the other questions that weren’t answered? If I can answer them, I’ll do it here–it may help other people as well and be a win for everyone! Thanks so much for the awesome post! I am a newbie blogger (studied a lot, but haven’t posted a lot yet). There are SO many different directions to look in when getting started, and I hadn’t even considered the tax topic yet. It’s definitely a topic I need to start thinking about this year. I love how you explained everything so simply. Usually my eyes glaze over when see tax advice LOL. You’re very welcome Kelley I’m glad it didn’t put you to sleep! I would agree that the tax topic is an important one to deal with toward the beginning of your journey. It’s much easier to set things up correctly from the start as opposed to having to try and fix things later on. If you hadn’t seen it, in the very last paragraph of the article is a link to a page I created for the readers which contains a discount on my course which is specifically aimed at new/new-ish bloggers to teach them about the financial and tax side of things. This was great information! I’m not new to having a home-based business, but I am new to blogging, so your advice will definitely be taken and put to use as I build. Thanks so much! You’re welcome Sharnette…and thank you for those kind words! Hi Eric thank you for making this easy to understand. Anything about tax confuses me. I just started out being a freelancer and this really helps a lot. Thanks again! Thanks so much for this great post! My current accountant is a bit out of the online loop and I feel like I’m speaking a different language to him when I mention “blogging income”. It may be time to seek someone else, thanks again! I’m really sorry to hear that, but unfortunately, that is the case for a lot of people I work with. I always recommend speaking to several potential partners because that part about them “getting” your business is ultra-important. To be successful, you can’t rely on your old way of doing things. Buyers don’t need salespeople to educate them on products and services anymore. They want ideas on what they can do to improve their businesses — not just a solution for today’s issues. Thanks for sharing the post, I’m really having problems in filing taxes. Following the steps that you mentioned will help me out to clear away the problems that I’ve faced early will solve from now onwards. Sir I have a new blog .how many visitors are best for my website now. 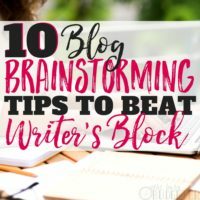 Thanks for the post and I learned lot from you as a fellow blogger. I live in Finland and taxes here are very high and since I’m in the realm of internet marketing and blogging, I was always worried about these things. Thanks for sharing this post, I am really having problems in filing taxes. …………. Depreciation is the process of treating the hypothetical wearing out of your building as if it were an expense. Even though you may not financially feel this wearing out, accounting principles allow you to take advantage of the eventual costs through depreciation. I am a huge fan of your blog posts. 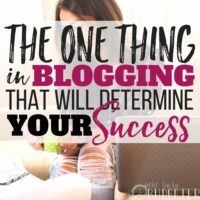 This post is must for every blogger either new or professional. Thanks for sharing. Thanks, this was really informative article. 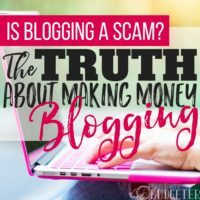 Bloggers usually stay away from taxes as it is a complex thing for them to understand and eventually end up having a bad tax reputation or paying out more taxes than what is expected to be. Will I need to get a business license when starting a blog? Even the slightest chance of paying taxes on income from Blogging is very heartbreaking. With the increasing Levi on Income tax.. where do the common people go..